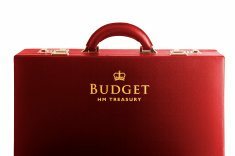 It may feel like Chancellor Philip Hammond’s Autumn Statement was only a few days ago, but shortly before Christmas The Treasury announced that the Spring Budget will be on Wednesday, March 8. This is the last chance to carry forward unused annual pension allowance of up to £50,000 from 2013/14. The calculations for maximising contributions and picking up unused allowances can be complex and have become more so with the introduction of a tapered annual allowance this year. Assembling all the necessary data can be a slow process, hence the need to start discussion early. The changes introduced to venture capital trusts (VCTs) last year have slowed down the investment process according to many VCT managers. As a result, some managers have decided not to raise any fresh funds this year, while others are making limited new share issues, primarily to existing investors. The potential reduction in supply comes at a time when the 30% income tax relief offered by VCTs is attracting increased interest from those affected by the latest reductions in the pension annual and lifetime allowances. Good offers could sell out quickly, so do let us know if you wish to invest in VCTs this year and be prepared to act promptly. And, of course, when we have heard the Spring Budget we’ll be giving our reaction to what it means for individuals and businesses. Make sure you sign up to our newsletter to be kept informed.